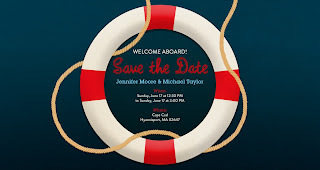 I loved sending paper invitations for parties but with a busy job and little free time I started using Evite instead. I have found fun designs for my Oscar party, Halloween, and Valentine's Day. Evite has a new category of nautical designs. I was planning on having a nautical party this month-I am even more determined now that I have seen these nautical invitations! Evite invitations are free to send and receive! Have you ever used Evite? Oh, gosh, how cute! I've received evites but they were boring, biz-type ones. Thx for the recommendation. These are adorable! I need to start using evites, haha. Check out Paperless Post as well! Awww, the little whale is by far my favorite. Wow, thanks for sharing! I didn't know about this site until now. They seem to have some really great stuff AND its eco-friendly!